Gas Meters And Electricity Meters - What You Need To Know - Which? Find out how gas and electricity meters work, how you can spot if yours is faulty and how you can use your electricity meter to save money. Everything you need to know about your gas meter and electricity meter, including how to save money and what smart meters do. Plus, we reveal how to check if your gas and electricity meter is faulty, as your energy company could owe you money. Gas and electricity meters are the key to you getting accurate bills, as they measure the amount of energy you use. Learning how to read your gas meter and electricity meter, and knowing how they work, will help you be more in control of your energy bills - and could help you save money in the long term. Why do I need to take electricity and gas meter readings? Is your energy meter faulty? Don't pay more for energy than you need to - compare gas and electricity prices with our energy switching site Which? Switch. Some suppliers ask you to provide regular meter readings, some get automatic readings from smart meters, while others estimate your bills or send staff to read the meter for you. Unless you have a smart meter which sends readings automatically to your energy supplier, regularly sending your gas and electric meters to your energy firm will make your bills as accurate as possible. Reading your meters regularly could also help alert you if there’s a fault. You'll also need to read your meters if you move home or switch gas or electricity supplier. 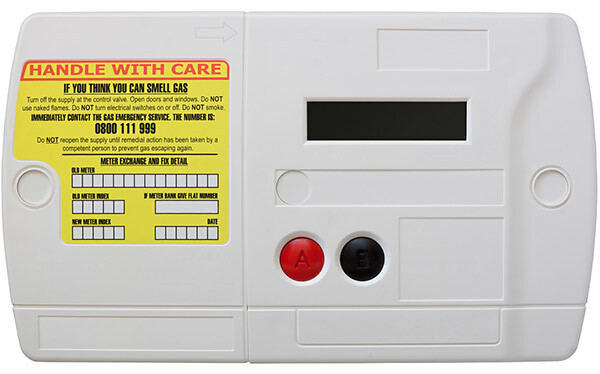 Not sure what type of gas and electricity meter you have? Scroll through the images to see the main types of gas and electric meters in the UK. There are lots of different types and designs of gas and electric meter. But all should clearly display a set of numbers indicating your latest energy usage. They also have a unique identification number - a Meter Point Reference Number (MPRN) for gas and a Meter Point Administration Number (MPAN) for electricity - which will be displayed on your bills. We recommend you submit your own meter readings at least every three months. Take a note of the reading and the date when it was taken. If you can't find a pen and paper, take a photo using your smartphone. In the past, energy suppliers had to read your meter every two years, but this rule was scrapped in 2016. See other ways save money on your energy bill. A Which? investigation (published in Which?, March 2016) discovered that hundreds of thousands of gas and electricity meters in Great Britain could be faulty - meaning customers could be owed a lot of money. We've analysed Government figures, our own survey results and looked at confidential industry reports to investigate the scale of the problem. Gas meters approved under UK law must be within 2% accurate and electricity meters within +2.5% and -3.5% accurate. 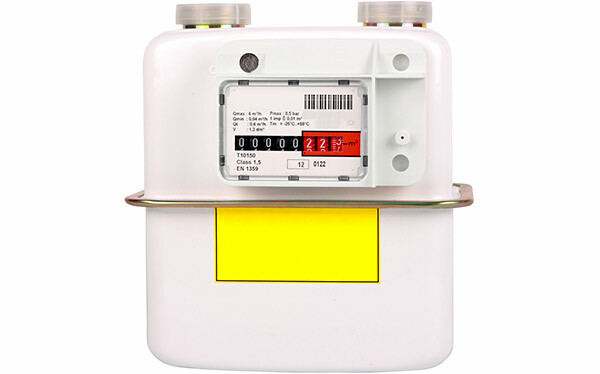 These are disputed gas and electricity meters – only tested because an error is already suspected – so the figures are not representative of Great Britain’s 53 million meter population as a whole. We’ve also seen three confidential National Grid reports that suggest the figures could be between 14% and 18%. National Grid said its figures were also not representative of the overall meter population. There are 3.9 million households in Great Britain on a time-of-use tariff, such as Economy 7, which get cheaper electricity at certain times. But we found that 16% of Which? members on one of these tariffs have found their meter clock is wrong (survey of 427 Which? members in Spring 2014). If that was true across the whole population, it would mean that 624,000 meters could be wrong. We’ve heard from people who have been overcharged hundreds of pounds due to this type of fault. Unusual bills or meter readings are usually the best clue to a faulty meter. If you’re on a time-of-use tariff, you should be able to check the clock on your meter or see if the rate changes when it should. If you suspect your meter is faulty, then you should record regular meter readings to help prove your case. You could also try turning off all your appliances and watching the meter. It shouldn’t still be registering significant amounts of energy. If you have a smart meter, the in-home display (IHD) that comes with it will also help show you how much energy you’re using in real-time. Like an energy monitor, the IHD isn’t a fool-proof way of checking meter accuracy, but it can be a helpful guide if you already have suspicions. Energy suppliers have a legal obligation to ensure all gas and electricity meters are accurate. If you suspect your meter is faulty, first contact your supplier – it is required to investigate. Meters can be tested at your home or sent away to an independent laboratory. The actual testing is free but suppliers can charge for the cost of removing and replacing your disputed meter. Some reimburse the cost if the meter is found to be inaccurate. Find out more in our consumer rights guide to faulty meters. Did you know you’ll probably get more gas for your money if you live at sea level rather than at the top of a mountain? And did you know you’re likely to get a better deal if your gas meter is outside? Here we look at how gas is really measured. The calorific value – or heating value – of gas varies depending on where in the country you live. It also varies from day to day. The country is divided into 13 different charging areas (known as local distribution zones) and customers’ bills are based on their area’s average daily calorific value for the billing period. Gas expands and contracts with heat. Bills are based on a temperature of 15°C. So those with meters outside can benefit, compared to those with meters inside. The volume of gas increases in low pressure. Bills are based on 1,013.25 mbar. So properties at a much lower altitude than average are likely to benefit. Billing assumes a height above sea level of 67.5m. Most consumers’ bills will be slightly inaccurate because the assumptions about temperature and pressure are fixed for the whole country. An independent report produced for the Government shows that: in 2011 the postcode with the smallest error was PE11 (in Lincolnshire), and the one with the largest error was BD6 (Bradford). Assuming an average annual gas bill of £750, this is equivalent to under-billing of £11.77 and over-billing of £18.58. the other for cheaper night usage. For some Economy 7 meters, the higher rate will be displayed as 'normal' on your meter. Your cheaper night time rate will be displayed as 'low' on your meter. If your meter is digital, Rate 1 will represent your cheaper night-time usage and Rate 2 your more expensive daytime usage. Which? has discovered that many Economy 7 users may not be making the most of their tariff. If you use less than 30% of your electricity during your cheaper night time hours, then you might be better off switching to a single electricity tariff - click on our news story to find out more. We also found that some people have Economy 7 meters with incorrect clocks, meaning they can't always make the most of their cheaper off-peak hours. Contact your energy supplier if you are unsure of your cheaper hours or think your meter clock is wrong. Like Economy 7, Economy 10 meters give two different rates for electricity depending on the time of day. With Economy 10, you get 10 hours of cheaper electricity - usually overnight, mid-afternoon and late evening, when there’s lower demand. In Scotland, these meters are often referred to as ‘white meters’. Find out more about Economy 7 and Economy 10 tariffs in how to get the best energy deal. To use a prepayment meter, top-up before you can use your gas and electricity. In the past you had to go to a shop to charge (add credit) to your card or key, or to buy tokens. You then inserted your charging device into the front of your prepayment meter. Many energy companies now allow you to top-up remotely, via their website, app, or over the phone. This makes pay-as-you-go energy much more convenient than previously. Find out: is a prepayment energy meter right for me? When the energy meter runs out of credit, the gas or electricity supply is automatically stopped. However some suppliers now offer emergency credit so you’re not cut-off at an important time when you cannot top-up. Many energy firms are now installing smart prepayment meters. Read on to find out more. Smart meters enable energy suppliers to remotely record how much electricity and gas you're using - doing away with the need for estimated bills and meter readings. The government is rolling out smart meters nationally by the end of 2020. Your energy company will contact you to arrange installation of a smart meter. Sometimes smart meters can’t send automatic readings back to your supplier and start acting 'dumb'. This was the joint most-experienced problem by Which? members with smart meters when we surveyed them in November 2017. Increasing numbers of energy companies are able to operate each others’ smart meters. And by the end of 2020, the government intends to have a solution so that all meters are inter-operable between energy companies. This could be due to technical problems. For example, the meter being unable to communicate externally or customers switching to a supplier that can’t operate the meter in smart mode. Find out what the smart meter roll-out will mean for you, and if your energy supplier is installing them yet in our guide to the smart meter roll-out.